Sunday. AM: Run and mobility. PM: clean triples (up to 100kg). Emom x 10min: 1 clean @ 100kg. Emom x 10min: 2 front squat @ 110kg. Emom x 21min, 1st: 10 hspu, 2nd: 15 box, 3rd: 20m sled push @ 110kg. We spent the day in Klaukkala at the in-laws. Some quality time before the big day next Saturday. That's the highlight of this summer for sure, our wedding day =) Last preparations for that event. Next week's gonna be tight in the schedule so let's see how the training's gonna look like. 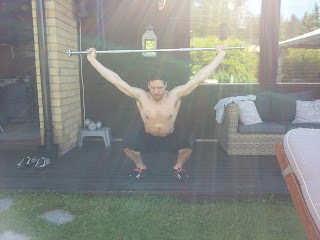 In the morning we went running with Pauliina and his father for half an hour, then mobility session took place. In the evening I went to the gym for a long session. Couple of heavier cleans to start the day. Somehow those 95-100kg cleans felt rather heavy. There's no doubt I need to get my leg strength back in the game. It's all about the legs. More squats are coming. Triples were tough so I changed to singles and did one rep every minute for a total of 10 minutes. Pretty okay reps. I have felt smoother and I'd like to see them go down more explosively but I'll take these for now. Maybe it's only because there hasn't been much rest lately. 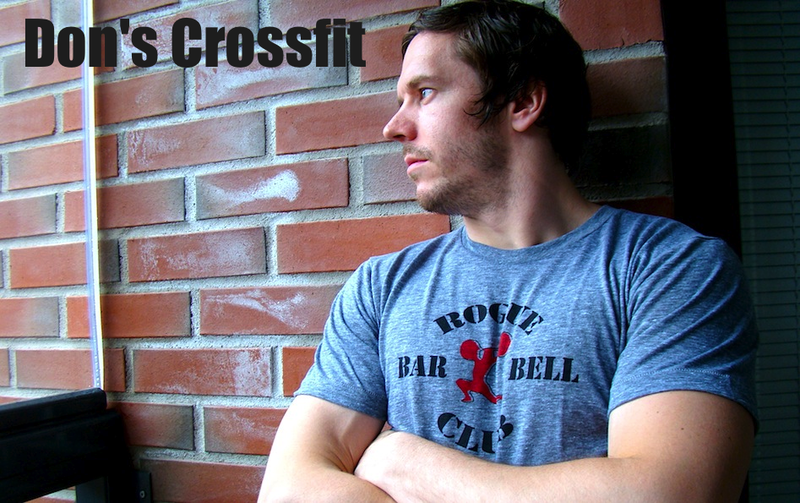 Front squats are perfect after heavier cleans. This weight suits more to front than back squats. Yesterday's back squats were done at this weight only because of the time restraints. These were okay. Touch'n'go style. On the last set I decided to double the amount just for fun. That was no problem. This sucked big time. Hspu's were okay for 4 rounds, 5th was okay and the last two rounds were awful. Got them done unbroken still. Definitely not easy on the last rounds. Shoulders were smashed after each set. Box jumps took the heart beat up, and wore my out whole-heartedly but not specifically legs or breathing. It was a feeling that just fatigued the entire body. It took about 25 seconds to complete each set. Sled was tougher than I had thought. There were 112.5kg of weight plus the sled itself. This sled didn't get heavy but somehow it took a toll on my legs. Quads were killing me after each 20 meter leg. It usually hits right after stopping. Not that much during the push / pull but right after that. This seems to be the name of the game with sled work. Tough workout but I loved it! Great to have hspu's involved in this kind of long emom wod too.